SOLD! 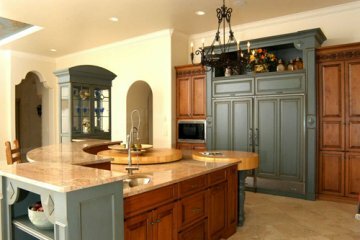 - Drastic Reduction for Prompt Sale! $1,500,000! 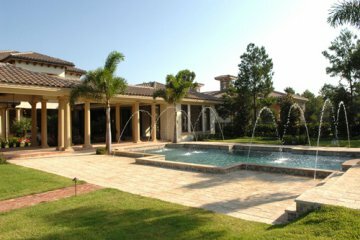 Originally $ 2,999,000.! BANK SALE! NEW - NEVER OCCUPIED! PRICED VERY LOW FOR A PROMPT SALE! 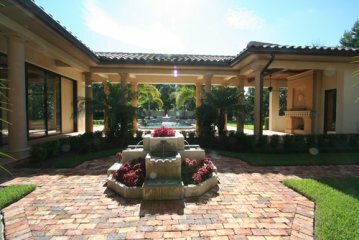 Built by a Master Custom Builder in this gorgeous Golf & Country Club, gated community! DON'T WAIT !! 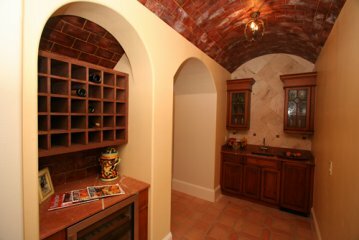 Come home to a setting reminiscent of a true Tuscan setting! 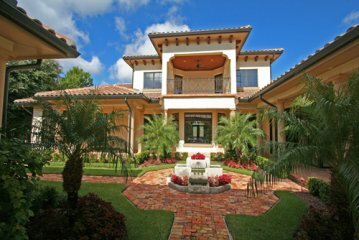 This magnificently crafted 5 bedroom, new residence is finely crafted and luxuriously designed and embraced by a true Tuscan landscape. It looks like Paradise! 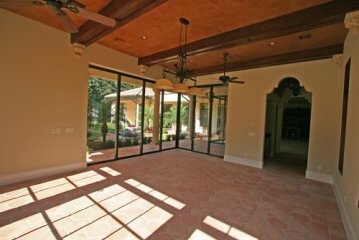 The moment you enter you are greeted by a magnificent view of the outdoor setting where so much Florida living and entertaining will take place! 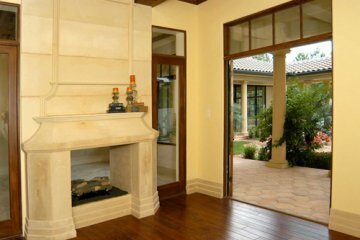 Colonnaded promenades lead to a charming courtyard which opens to a rambling floor plan with large windows and engineered “disappearing” glass walls that invite the rear Tuscan gardens to seamlessly connect to a gracious, family-friendly interior. 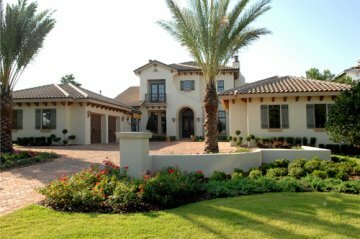 This exquisite NEW Mediterranean residence features 5 bedroom suites each with walk-in closets, private baths, bookcases and wonderful balconies. 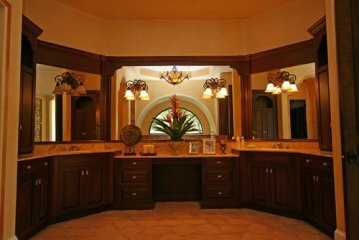 A quiet study-retreat, a large game room as well as some additional “flex” space with a refreshment bar, sink and refrigerator will delight the owners. 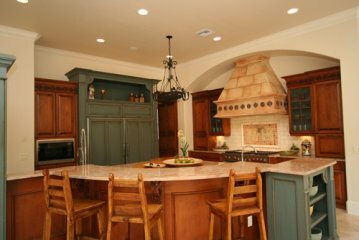 The interior is designed with today’s comforts and all the Mediterranean architectural elements you would expect such as elegant stencils, granite, deep moldings, olde-world chandeliers which hang from soaring beamed ceilings and very high quality finishes throughout. 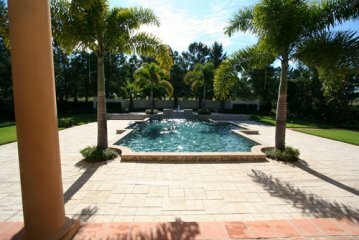 A dramatic 48’ classic Roman-shape pool is reminiscent of those found in Europe with steps, Italian mosaic tile detailing, dramatic lighting and refreshing fountains, in addition to a heated Spa. 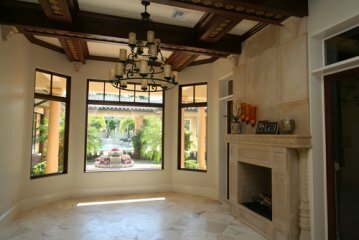 Loggia lead from the residence through the gardens and proceed toward a charming poolside terrace with fireplace and kitchen for outdoor entertaining. 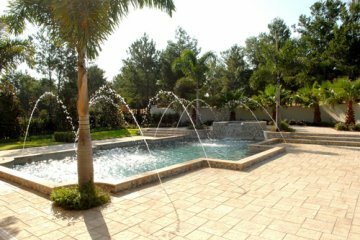 This beautiful home is graciously designed for families, friends, outdoor living and indoor comforts with unprecedented style! 4-car Garage! 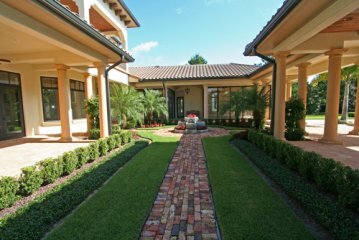 “Villa Bocelli” is located in a prestigious golf and country club community designed in a Tuscan motif, and is only 25 minutes to downtown Orlando business district. 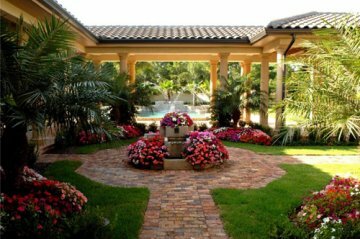 The residence was constructed in 2006 by Rick Vogel, one of Central Florida’s most prestigious, artistic and quality-driven builders – and is designed with timeless architecture and style – which will be treasured by generations for many years.